Breda – Olympic event driver Tim Lips is once again taking new steps to further support his sport. Previously he did that by setting up the first commercial equestrian team in history. 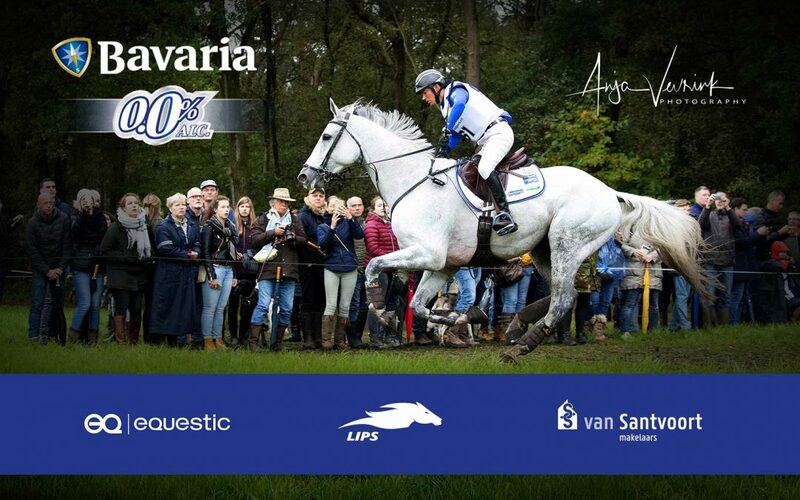 Now sponsoring Bavaria 0.0 and new partners Equestic and Santvoort Makelaars are joining forces with Lips to develop talent. And the beauty is, everyone up to 25 years of age is welcome! “All eventing riders up to the 25 years who want to improve can participate in our scouting day. Minimum requirement is two gain points in the B class for the ponies or horses and as far as I am concerned everyone has the same chance, “explains Lips. Upcoming 1 July, talents will be selected in Renswoude who will then have the opportunity to receive training and individual coaching by the big names of the Bavaria 0.0 Team members, fully reimbursed by the sponsors. Ultimately, about twenty talents between 10 and 17 years old (Talent Experience) may participate in five central trainings. In the category 18-25 years old (Bavaria 0.0 Talent Team) about five talents are chosen for ten individual trainings. Then there is even the possibility to continue to the Bavaria 0.0 Eventing Team. But that is not the main goal of this initiative. “Above all, we want to teach young people to practice the sport with a lot of fun and in a responsible manner. All participants will receive extensive feedback and tips on 1 July, so even if you are not in the final selection, it is super instructive. “In addition, workshops and seminars are held that day and the organization will do everything to ensure a true family event. to make. www.bavaria00eventingteam.nl, under the item Talententeam.